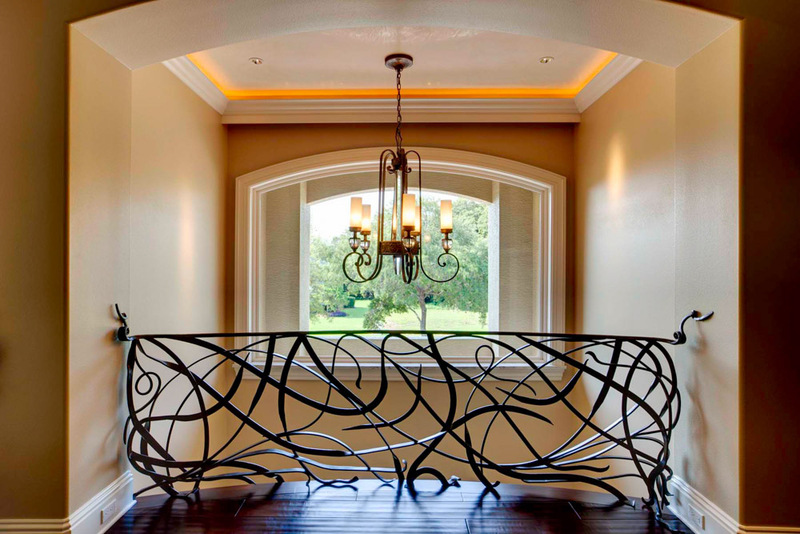 A railing Nancy previously designed for another client inspired this custom railing. Each design is unique and contributes to the interior architecture of the home. 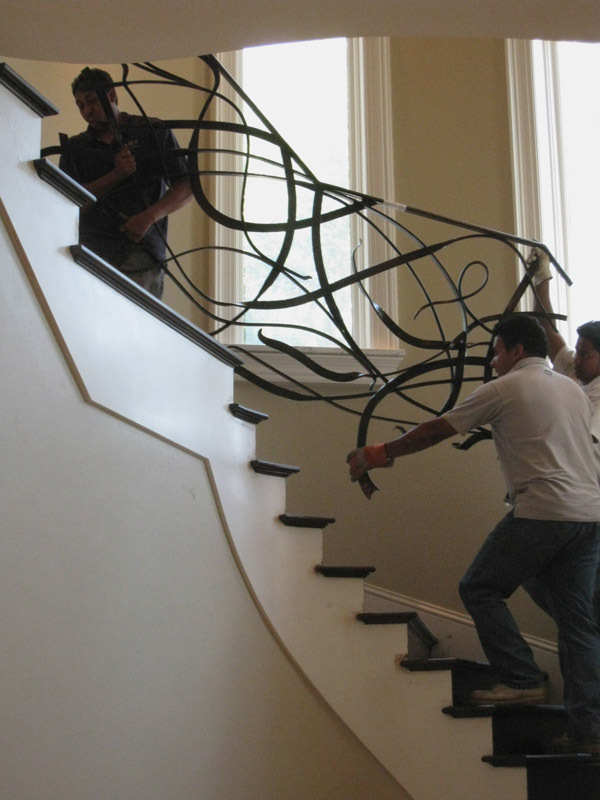 This open and free flowing railing extends onto the sides of the actual staircase. The onyx inserts on each tread glow with indirect lighting from below. The balcony railing completes the 2nd floor. 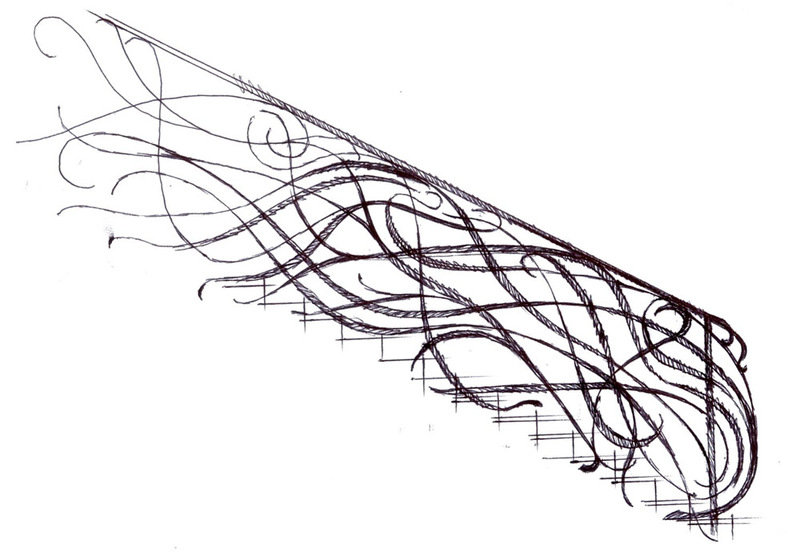 This conceptual drawing was presented to Nancy’s South American contacts for them to enhance this design and created the railing. The 2nd floor balcony railing installed.